Have you ever noticed how incredibly silent it becomes at dinner as soon as the food hits the table? That the conversation quickly dulls down into mere sounds of crunching, chewing and licking of the lips? Then you may have experienced mindful eating. Let’s break it down into two distinct parts to make it easy to understand (because it really is so simple). Mindful just refers to deliberately paying attention to your surroundings and eating is the consumption of food. Put it together and you’ve got the art of learning to pay attention to what you’re eating. Many people eat semi-consciously, chewing and swallowing food with no real consideration for the taste, texture or how it makes them feel. I know what you’re thinking; why would I want to spend time contemplating a slice of cheese? But acknowledging your responses to the foods which you can sometimes carelessly consume has its benefits. Mindful eating helps to develop an open-minded awareness of how the food we consume affects our body, feelings, thoughts and overall livelihood, it stresses the importance of engagement with all of our senses in order to truly appreciate and enjoy food. Eating mindfully doesn’t suggest a right or wrong way to eat but encourages a heightened sense of awareness so that you can make conscious food choices that support the wellbeing of your body. Mindful eating, for me, is about rekindling and forming a good relationship with our food, questioning where it came from, who grew it and how it ended up on our plates. 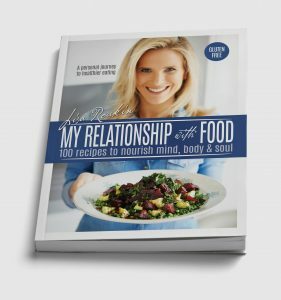 Eating mindfully in order to achieve a good relationship with food doesn’t mean counting every calorie, or meticulously reading the backs of crisp packets, it means giving our body the love and nutrition it needs, whilst considering important, mindful factors to form a happy and healthy relationship. Be mindful of feeders: if you work in an office environment then it’s easy to get caught up with all the free snacks and goodies being offered around. Take time and ask yourself if you really need that handful of chocolate covered raisins. Although you might think they would give you an energy boost, chocolate can often lead to fatigue and less productivity in the workplace. 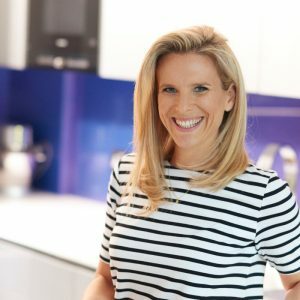 Healthy eating environments: how often do you find yourself browsing your own cupboard and strolling over to your fridge, eating at random times and places? I urge you to think pro-actively about meals and snacks throughout the day in order to avoid overeating due to mindless wandering around the kitchen. Slow down: we sometimes overeat because our body sends its hunger signal approximately 20 minutes after the brain does. By slowing down and allowing your body to catch up to your brain, your mind and body can communicate to determine what you really need for nutrition and avoid eating too much or too little. For many of us, holidays are a massive, green, go-ahead light to indulge. And they are. But don’t see an all-you-can-eat buffet and take it literally. Through mindful thinking, you can ask yourself questions such as whether you are actually full after a meal and why you are going back for seconds. Is it because you’re not sufficiently full or is it because the temptation is proving too much to bare? It’s probably the latter. I’m all for treating yourself on holiday, but in moderation. Mindful eating promotes learning to pay attention to what you’re eating and encourages people to slow down and savour and enjoy food, making people more aware of when they are full. Despite endless free refills, it doesn’t mean holidays are merely a way to indulge on excessive amounts of food. Justifying that extra plate of chips just because you are ‘on holiday’ can impact on your relationship with food, and it is easy to pile on the pounds without even realising. And I saved the best till last. You learn to really taste food and savour flavours, textures and sensations. Just a simple commitment can help you to truly appreciate food and contribute to a healthy and happy relationship with food.